The city of Clinton, Mo., the Clinton Airport Association, and more than 80 others recently celebrated a ribbon-cutting to mark the completion of the newly constructed Runway 18/36 at Clinton Memorial Airport, where Garver provided construction services. "Our experience with Garver has been a very positive one. Their ability and willingness to work with contractors and others have produced many creative and cost-effective solutions to many difficult challenges. I cannot imagine working with a more professional and effective group of people," said Clinton City Administrator Christy Maggi. 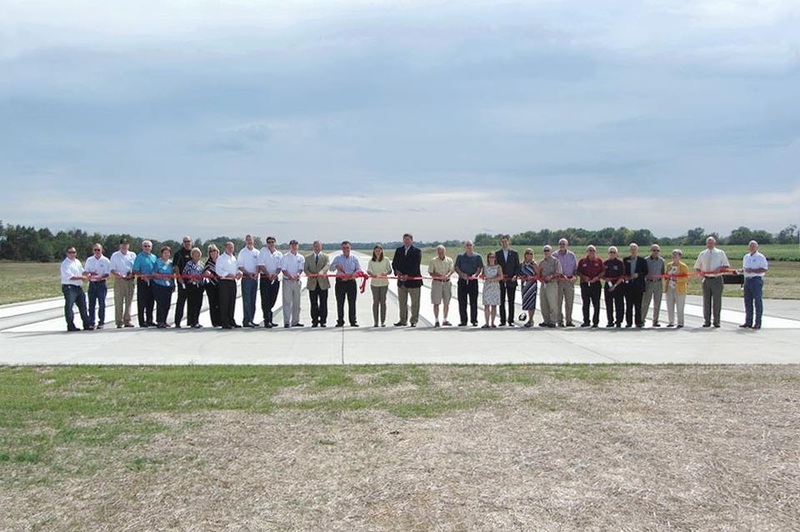 The new $5.5 million runway is 1,000 feet longer and 15 feet wider than the previous runway, and it allows larger corporate jets to utilize the airfield, bringing with them business and growth opportunities.